Many of you will have already booked your summer holidays, but if you haven’t and you want to enjoy the sunshine this summer, Butlins has the answer this August. With resorts in Skegness, Minehead and Bognor Regis, you will not only be able to have fun at the beach, but you will also be close to some of the UK’s best cities – perfect for fun family days out! Bristol is a great place for all the family. 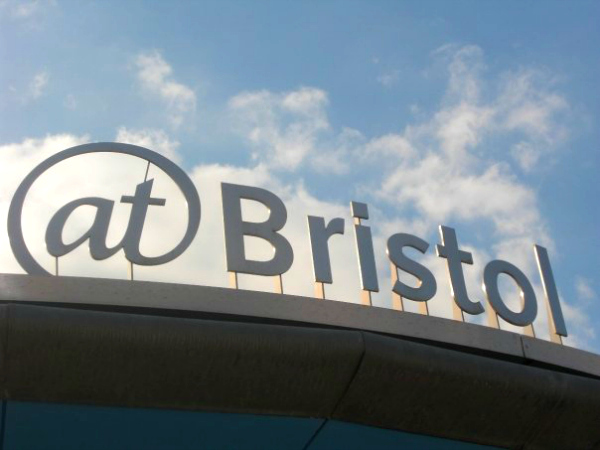 You’ve got Bristol Zoo or the interactive science museum @Bristol for kids and adults will enjoy art galleries like the Arnolfini or a wonder around Bristol’s famous street art locations Stokes Croft or Union Street. At the moment, you can even go on a hunt of Aardman’s popular character Gromit, who is part of a charity campaign for Bristol’s children’s hospital. There are 80 Gromits hidden all over the city and it’s great fun to go on the Gromit Unleashed Trail and discover Bristol through it. Nottingham has always been on my list of places I would like to go. I think it’s the whole Robin Hood mystery and the big Robin Hood festival in summer that make me really interested in a trip to the North-East, but Nottingham has so much more to offer than men in tights. It’s famous for its shopping centres and nightlife and is also home to a beautiful castle that makes a great scenic background for a lovely picnic. Brighton is THE British seaside town that has it all: A vibrant comedy scene, a fabulous pier that invites you to take funny pictures in ancient swimming costumes and historic buildings like the Royal Pavillion that attracts visitors from all over the world. So if you want to get out and about this August bank holiday, Brighton has got a lot to offer for families and singletons. Southampton is a must-see for me. I studied history at university, so I would love to visit the Tudor House in the town centre and add a little history lesson to my summer break. The SeaCity Museum is another fabulous stop for everyone who likes to dive into the past. If there’s anything you need to know about the HMS Titanic, you will learn about it here. Alternatively, you can watch massive cruise ships in the harbour and enjoy an ice-cream while waving after them when they leave. Exeter is not that far from me, but I have never been. I have heard that it’s a lovely historic town and that there is a lot to do for families. Especially the Exeter Underground Passages sound great fun, if your kids are a little older. You get a hardhat and then walk (and crawl at times) through passages along the city’s aqueducts. I love things like that! If you’ve stayed at Butlins before, which are your day trip tips? I’d love to hear from you! Great tips, I’ve always wanted to visit Bristol because of its art scene.